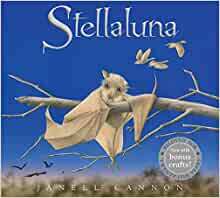 I bought my first copy of Stellaluna before my daughter was born and it became one of our all-time favorite books to read together. (Verdi was probably a tie.) When I got a shower invitation from my niece lately asking people to bring a book instead of a card along with their gift, I grabbed three of our old childhood standbys: Stellaluna 25th Anniversary Edition,Verdi, and The Runaway Bunny: A 75th Anniversary Retrospective. It’s so hard to choose so few out of so many of our favorite books, but she may be inundated with more books as her son gets older. ;) I also ordered a new favorite, A Boy and a House, but I’m not sure it will get here in time for her shower. 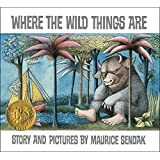 This is a classic book for pre-schoolers, and my 3.5 year old loves it. I had to call him Stellaluna for weeks, and answer by the name of Mother Fruit bat! We love our copy so much that we've been buying it as gifts for friends. 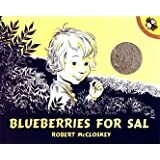 This is a sweet story with just the right amount of plot and text for an older preschool aged child. Stellaluna is a baby fruit bat who is separated from her mother when a predator attacks. 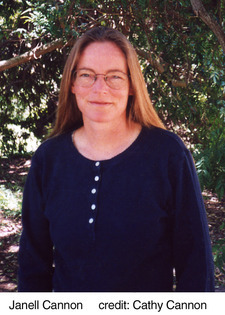 She lands in a bird's nest and is raised with baby birds until being reunited with her mother. 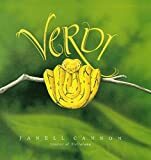 The happy ending keeps this book from being too scary, and there is a lot of great information about fruit bats shared within the context of a fictional story. The illustrations are beautiful and make bats seems more appealing! 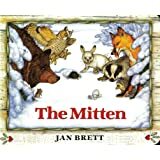 There are so many children's books about bunnies, dogs, cats, etc - this is a nice change of pace and a great way to teach children about animals. Stellaluna is incredibly richly detailed, the illustrations are extraordinary. 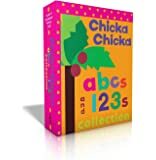 Even if your child is too young to read with comprehension, the book is so well put together that your child will understand the story simply by the pictures. And what a story it is. It speaks to acceptance of others and yourself, despite apparent differences. Stellaluna gets lost and finds herself in a nest of baby birds and their mom. When Stella gets scolded for sleeping hanging upside down by the momma bird she has found herself living with, it's funny and touching. The "Bat Notes" at the end are interesting and engaging. I like that an animal as misunderstood? misjudged? as a bat is used in this friendly story about acceptance, what home means, and how friendship transforms us. I bought this for a baby shower where the invitations asked for no cards, money, gifts, etc. Just a book with a little note in it to the baby, and who the gift was from. It made me want to get my own copy (again....). 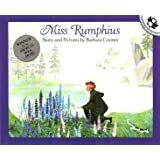 This is a beautifully told story for children, about the importance of recognizing and being your true self. Stellaluna is a baby bat who gets separated from her mother and is adopted by a bird family. She tried to be a bird, hunting food by day and balancing upright on branches. But it really doesn't work out very well for her and she finally comes to realize that the reason she looks different from her brothers and sisters is that she IS different - she's a bat, not a bird. Things work out much better for her when she accepts that, embraces her batness, and stops trying to be a bird. Lovely message and illustrations. This is now part of the library of classics I give newborns of my acquaintance. 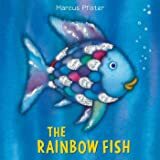 I love reading this book to my child. I have the hard back version but wanted the kindle for portability and save wear and tear on the hardback version. The kindle version has a very tiny font. It was a bit disconcerting. There was no way to make the book larger so we could check out details on the beautiful illustrations or just widen the entire page to read at once. Instead, my option was to double tap a sentence at a time. Not ideal at all. Amazon, please consider those who need to magnify print in these books. I would rather have the option to be able to pinch my fingers wide or closed to be able to get the font to a level that I am comfortable with. And not the double tap option offered so you can see one sentence at a time that is not really that much larger than the actual tiny type font. Also, the soft yellow highlighting in a pop up box after you tap the page makes it harder for some (like me) to read because it gets rid of the high contrast that I sometimes need and I lose my place on the page and have to double tap back to try and figure out where I am. I do have glasses but still had a hard time reading this kindle version.